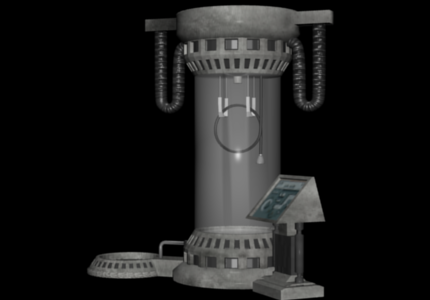 The bacta tank is one of the most widely used and greatest medical breakthroughs known to the modern galaxy. After the discovery of the miracle healing properties of bacta, medical companies throughout the galaxy spent millions of credits in the development of goods and medicines to harness the power of bacta. The bacta tank is one product of those efforts. Alos known galaxy-wide as bacta baths or rejuve tanks, these entities are a common sight inside hospitals and capital-class ship medical bays. Standing more than 2 meters in height, these tanks of durasteel and transparisteel house hundreds of gallons of bacta and other synthetic solutions to mimic the natural vital fluids of the galaxy’s wide range of sentient beings. Bacta tanks are known as the one of the most effective of revitalization and healing treatment. Patients are submerged in the tank for hours, according to a moving scale based on the severity of one’s injuries. While submerged, the natural effects of the bacta lull patients into a trance-like state that is immediately broken upon removal from the tank. Patients undergoing bacta treatment are swathed in minimal amounts of white clothing, typically briefs for males and gowns for females. Each patient must wear a breath mask that provides a steady supply of the sentient’s needed atmospheric gases while immersed in the tank. After each use, the contents of the tank are flushed and then undergo a cleaning and disinfection process before they can be refilled for another treatment session. While the typical bacta tank is often found stationed in medical centers, portable models do exist. These models, are often inflatable tub-like constructs that require the patient to lay on their backs. Not only are these models smaller, they require less bacta, as the solution is filtered and pumped over the patient’s supine body. 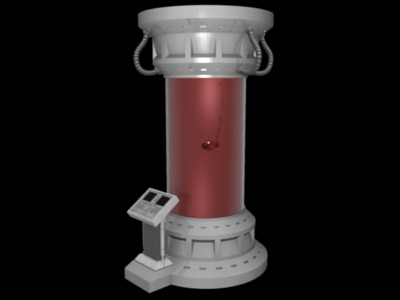 Although said to be one of the most expensive piece of medical technology, second only to bacta supplies, the bacta tank offers the most effective and complete means of healing possible. 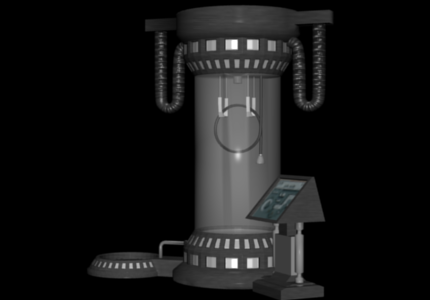 This has resulted in creating a high demand for these life saving entities throughout the galaxy.